I built this PC to replace my parents' 7 year old laptop. That thing is so painful to use; I honestly have no clue how they've kept their sanity in spite of it. Anyway, my parents don't need much horsepower. On the other hand, I wanted using this computer to feel awesome - meaning snappy, quiet, and small. This computer was not really meant to be a budget build, but I also didn't want to overbuild. I also really want this build to last them a long time. So far, I'm very happy with how it turned out. It boots in 12 seconds. The monitor looks amazing (albeit by my relatively low standards). 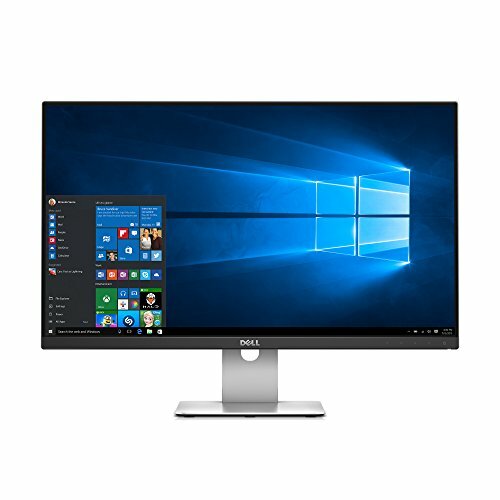 I was torn between the G4400 and the i3 6100. The 6100 may have been the better choice for futureproofing, but I really think the G4400 will prove to be enough for them. We'll see. No issues with the mobo or RAM. The Noctua cooler is dead quiet, which is what I got it for. The case was bigger than I was expecting, but still looks great. It was definitely a bit of a challenge to build in, especially with this being my first build. I went with the Corsair PSU for the 7 year warranty vs. 3 with the optional bundled Integra. The mouse and keyboard are fine, although the mouse is much smaller than I was expecting. I'm definitely glad I went with wireless peripherals. Finally, installing the software was not nearly as painful as I'd been expecting, so that was nice. Overall it was a fun experience. I definitely feel more prepared for when I do my personal build. Thank you to the PCPP community! I've learned a lot from looking at other peoples' builds. Please feel free to let me know if you think I should've or still should do something differently. Perfect for people that don't game and stick to using the internet, watching netflix/youtube, Microsoft Office, etc. Can't beat the price to performance and is very snappy. Dead quiet. Some of the best packaging I've ever seen for any product. Includes everything you could need to use it. 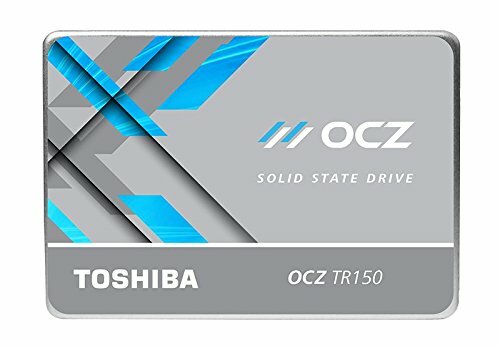 Perfect for SFF builds/low TDP CPUs. Solid build quality. I wish it had a couple more bells and whistles like an Intel NIC, but it doesn't get much better at this size and price range. EDIT: Turns out the RAM slot closest to the CPU is a bit loose. It's normally not an issue but it can cause the computer to lock up if bumped. 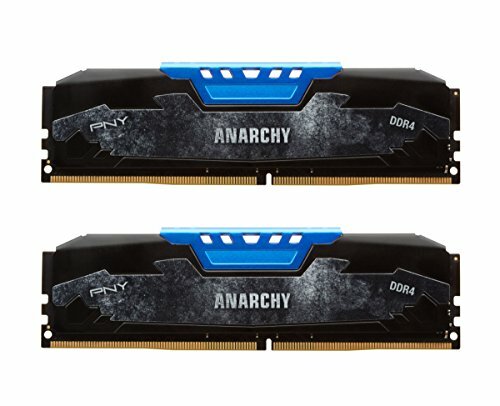 Cheapest RAM I could find and it works just fine. I'm running the H110 chipset so I can't comment on overclocking but at 2133 MHz it's perfectly fine. Beautiful monitor. The colors look great. The thin bezels make everything look even better. The stand is definitely a bit flimsy but not to the point of being annoying or unusable. No other complaints. The keyboard actually feels better than I was expecting. The unifying receiver works perfectly. The mice has a nice weight to it that makes it feel not so cheap. The mouse is tiny though, definitely a lot smaller than I was expecting. This could be a concern if you have a palm grip or not tiny hands or just plan to use it a lot. I would definitely not use this mouse for gaming. Nice build for the rents! Thank you! I hope they'll like it as much as I do lol. He probably means from button press to log in screen. I count from when the Windows loading screen begins. Ah, yes you're correct, I mean to the login screen. 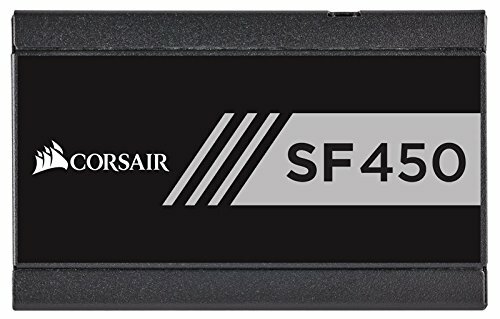 It's not the fastest SSD on the block, but you may be right. I think it might have to do with my startup programs. I'll check it out. Thanks! Lol it's complete overkill for this CPU. From a performance or cost perspective I realize that it doesn't make any sense. But given the form factor, my options were somewhat limited. I went with the Noctua because I knew it would be silent and also for the 6 year warranty. Nice build, but that 450W PSU is definitely overkill. You're probably not even using 100W. You're definitely right. I thought about that, but the problem is that there are very few lower wattage SFX PSU's, and none have a 7 year warranty like Corsair's. I guess you could say I paid extra for the longer warranty and modularity. Good looking build man. 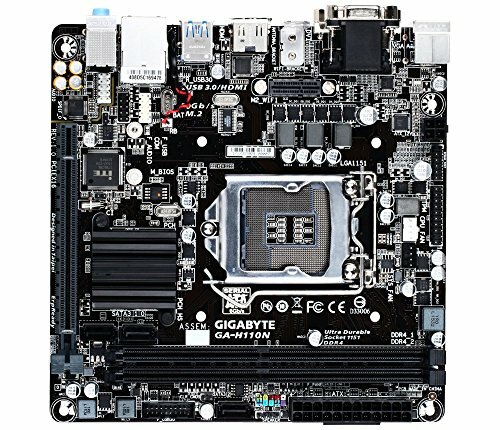 How is the motherboard, I am thinking of choosing this over MSI H110I Pro. Thanks yo! The mobo's been great. Still no problems whatsoever. I just checked out the MSI board and on paper they seem nearly identical. I'd say just get whichever is cheaper, but if you're concerned with build quality this one's solid. Hey nice build, just one thing that I noticed. You put the power supply face up. Was that an oversight? Because there's an intake hole at the bottom, so.. Yeah, otherwise I think you're forcing the power supply fan to spin higher than normal in order to get air. I ask because you had it face down at the beginning then turned it fan up afterwards. The pictures are not in the order they were taken. You're right, it was a mistake. I put everything together and then when I was about to close the chassis I realized the PSU was the wrong way so I had to undo a bunch of stuff and fix it. Just another noob mistake lol. Looks like I got mine from Amazon, but I just checked and as you said they only appear to have 2x8 and 4x4 now :/ Sorry and good luck!